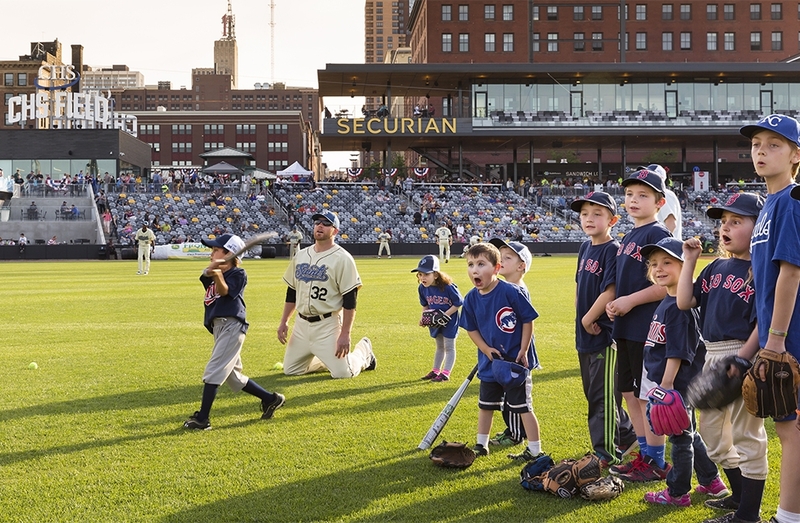 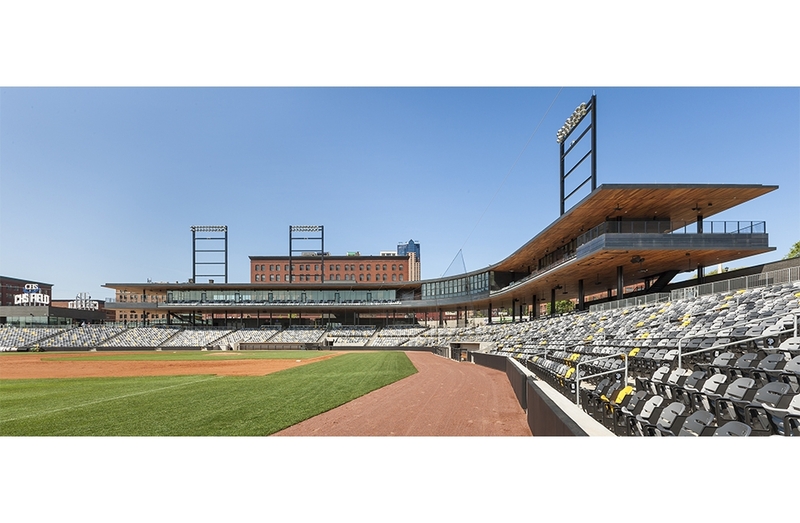 CHS Field in Lowertown forms a transitional use from St Paul’s vibrant arts district of 19th century warehouses into the natural amenities of riverfront parks and trails. 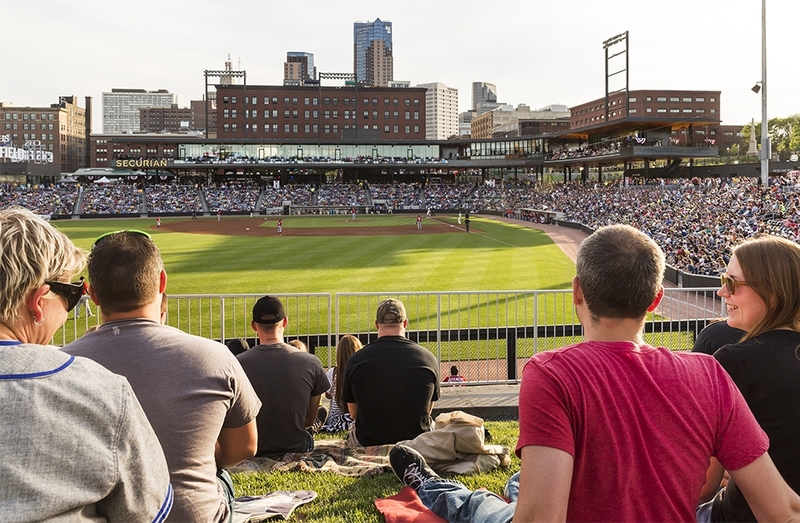 With just 7,000 seats, the ballpark is conceived as first a park, a green space. 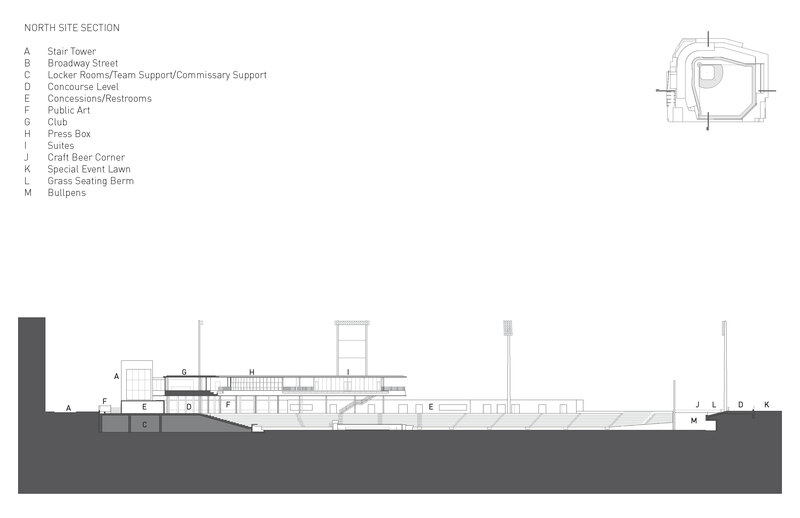 The seating bowl and playing field are located below street level allowing a street level walkway all around the field. 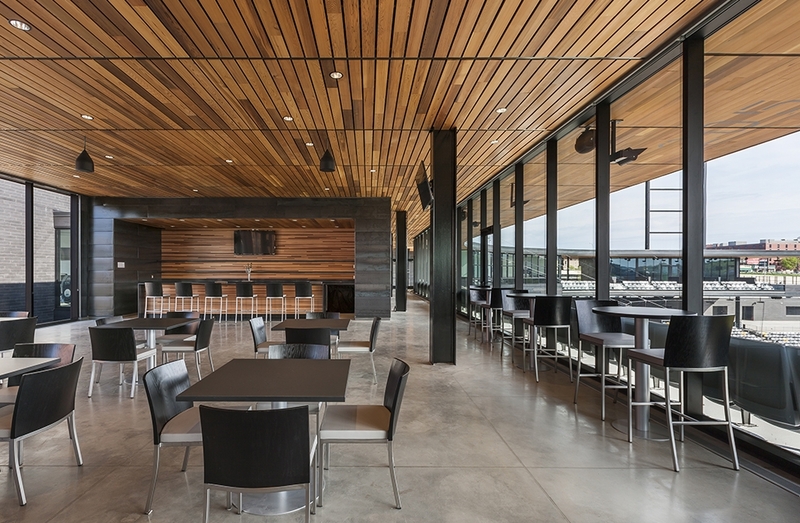 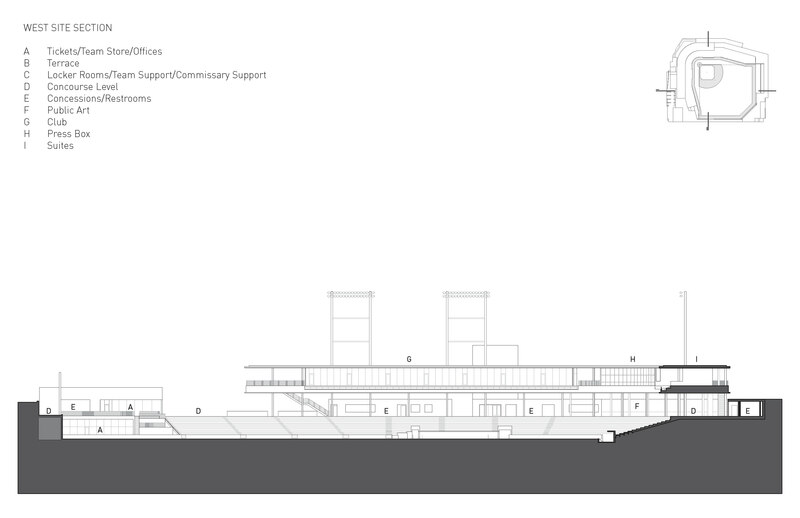 The suites, club and press box hover above the concourse in a light steel frame pavilion with a warm wood canopy. 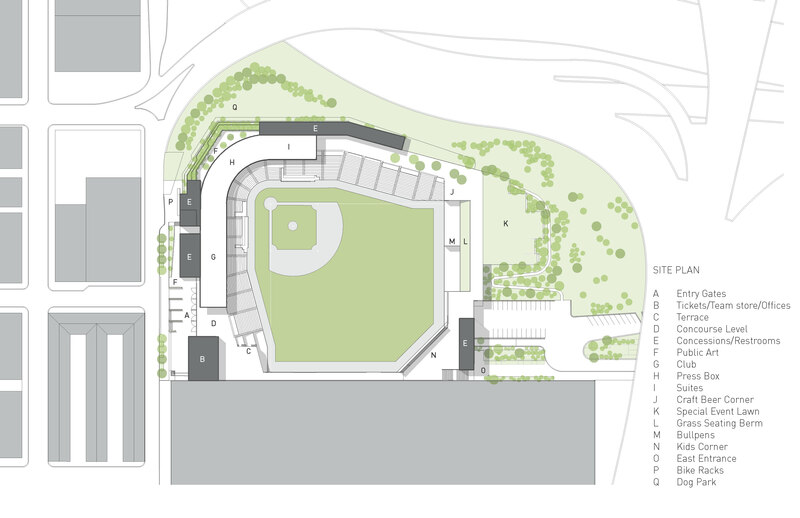 Concourse amenities are pushed back, carving into the hillside. 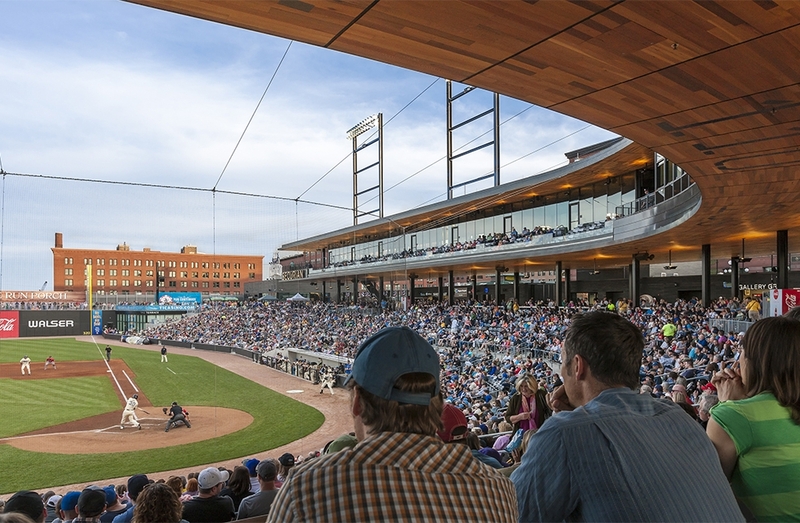 The enclosed spaces of the ballpark are intentionally minimized in order to allow a connection to the Lowertown district, the skyline and the river from within the park. 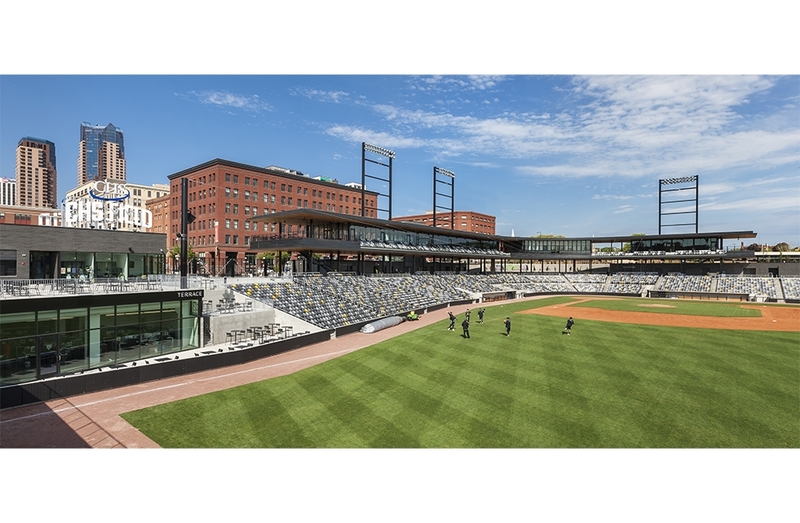 The design strategy is evocative of the district’s steel fire escapes as light and porous counterpoints to the weight and massing of the surrounding warehouses. 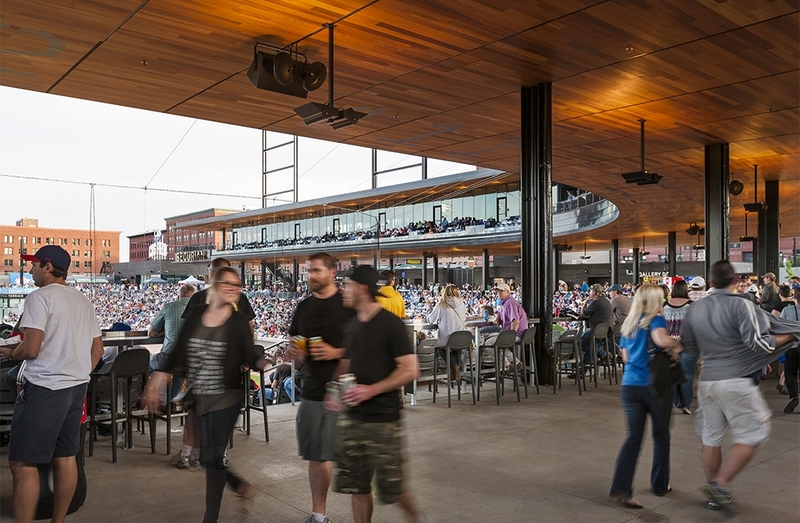 The neighborhood’s cultural identity is built on the creativity of its artists, its population’s diversity, its social energy built on its events, restaurants, market and active public places. 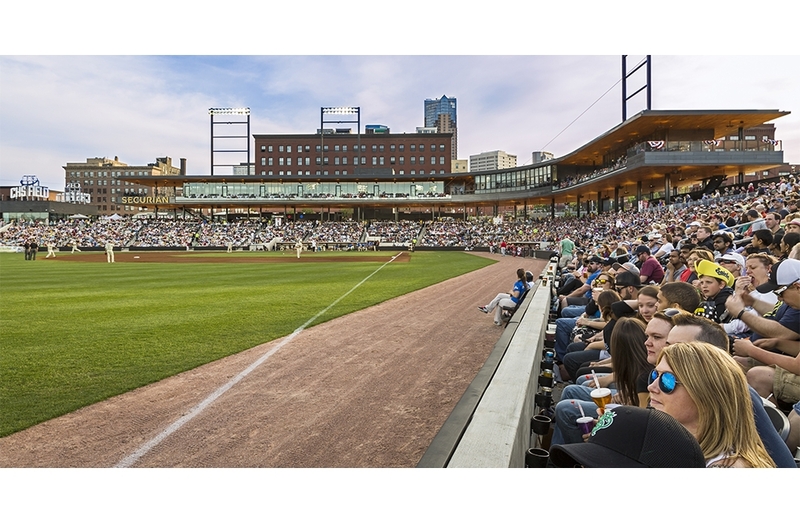 This energy and creativity erupts in some of the tucked away corners of the district. 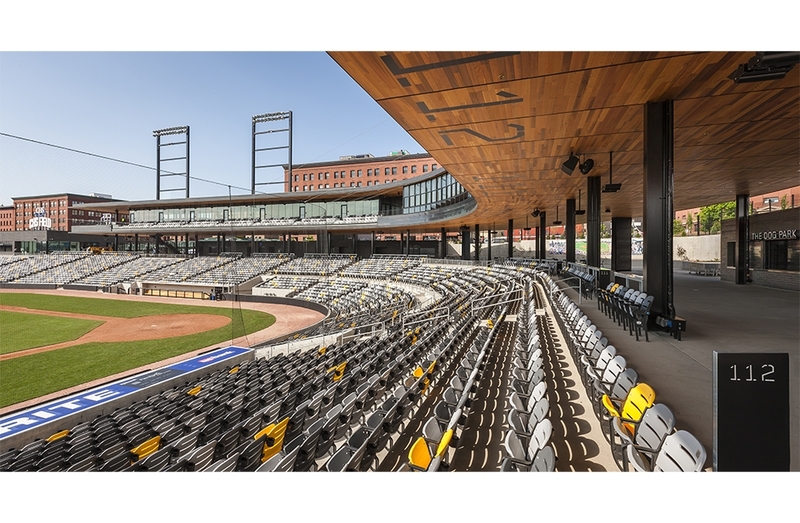 Similarly the ballpark is conceived to appeal to a diverse population with a variety of seating types, encouraging social encounters and movement throughout the park. 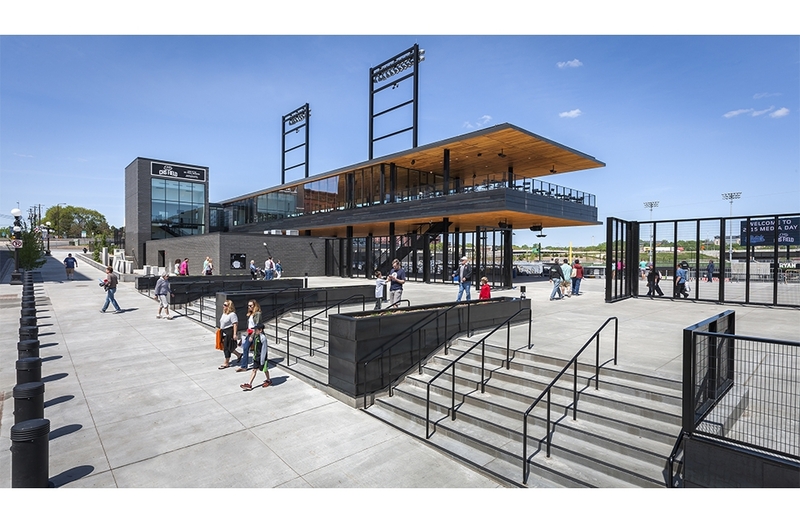 A level 360 degree concourse surrounds the park with multiple seating options, and event locations. 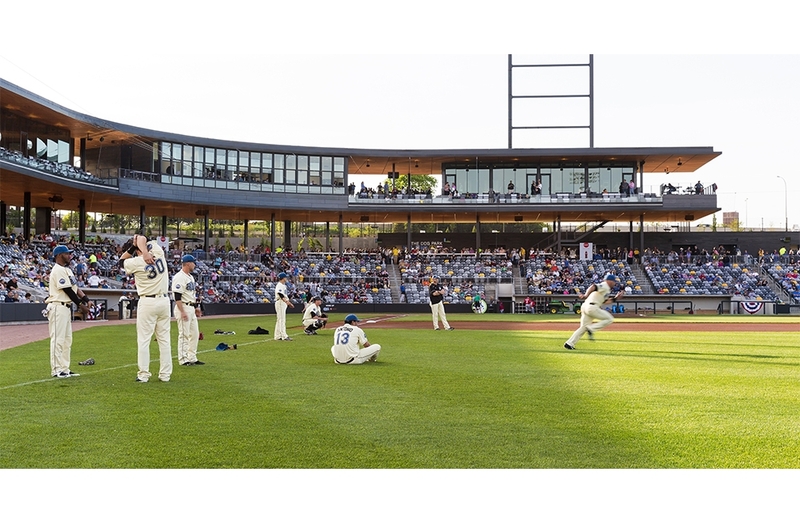 The ballpark will be the home of the Saint Paul Saints, a leader in reinventing sports entertainment. 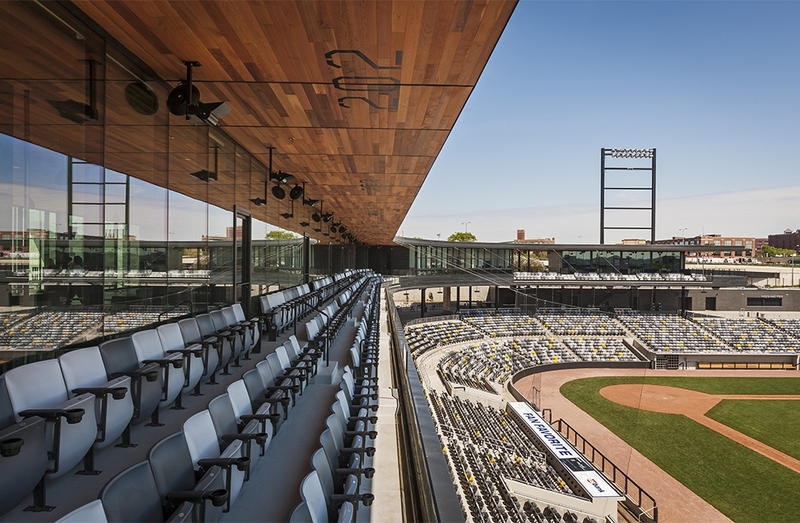 The Saints are known for their off the wall, creative, maverick, and irreverent humor emanating from their mantra, “Fun is Good” and their owners, Mike Veeck and Bill Murray.